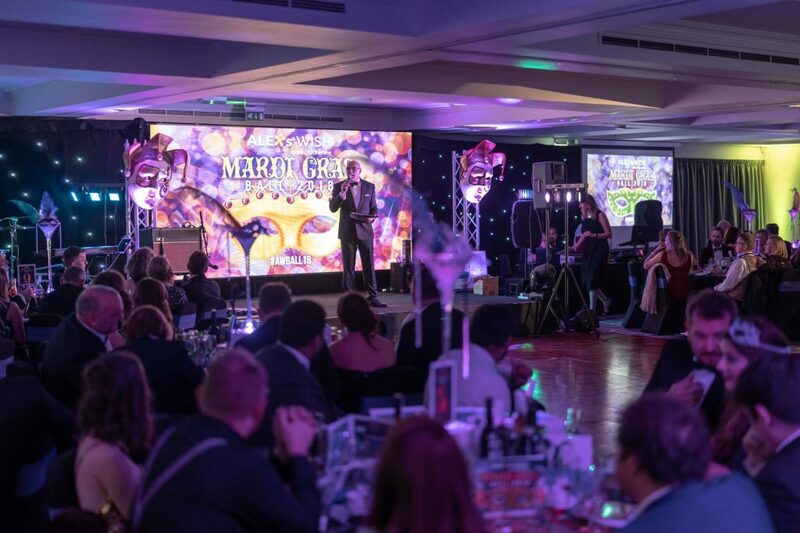 Our wonderful Mardi Gras Ball took place on Saturday night at The Village Hotel and raised a staggering £30,000. 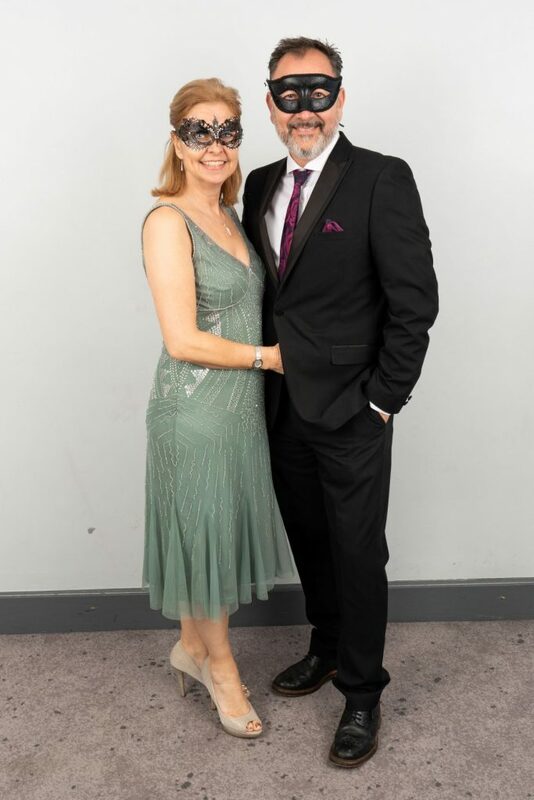 The evening was a huge success thanks to all our lovely supporters that came along, some who come year after year and those that came for the first time. We would also like to thank some very special supporters B Audio Visual for sponsoring all of the audio visual and decorations, The Village Hotel for sponsoring our pre-diner drinks and being amazing hosts, Corporate Motion for producing the video on the night and to NEXT Plc for helping cover some of the costs. Also a huge thank you well as everyone who has donated prizes for our auction, raffle and win-a-holiday. 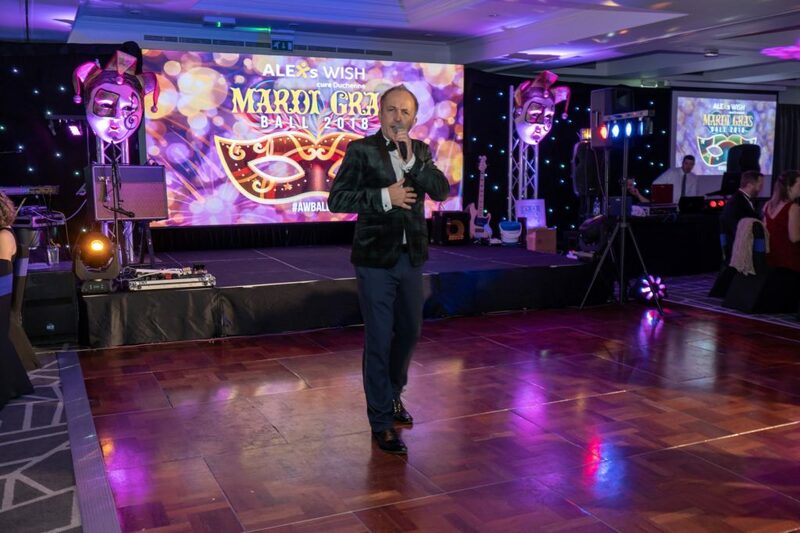 The guests were welcomed in by Andy Miller our host for the evening introducing the wonderful Mardi Gras dancers and the sounds of Brendan Green, with the evening finishing on a high with Likuid Blu. 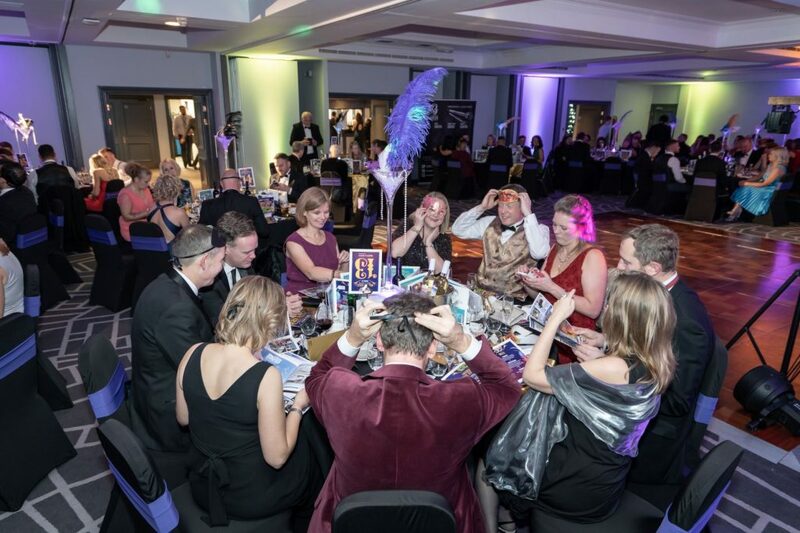 We would love to thank Wonderland Memorabilia who organised our silent auction for us as well as managing the Live Auction on the night. 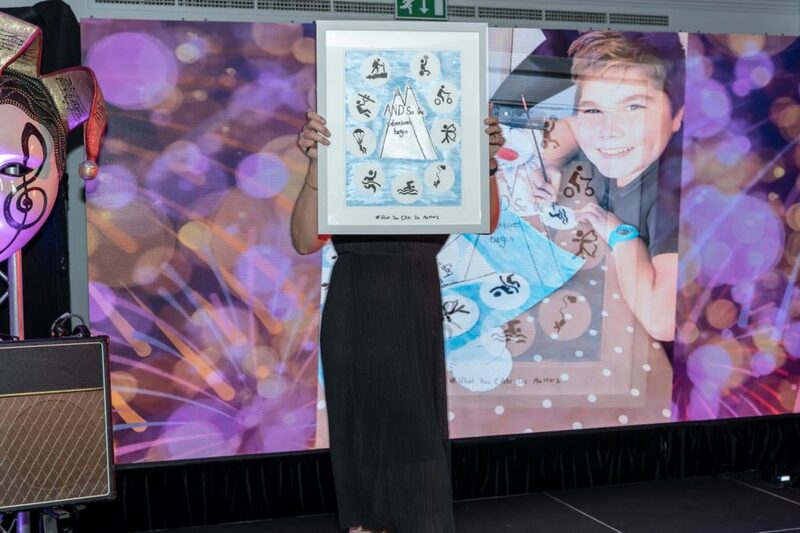 It was an incredible night that raised a huge amount of money for all children and young adults that have Duchenne Muscular Dystrophy.